My local guild had our year end potluck lunch meeting. It was delicious! So many good things and not a calorie in sight. Well none that I saw. We also had elections, I was treasurer and decided to step down after two years in the position. I was so happy someone actually wanted to be treasurer. Woo Hoo!!!!!!!! That excitement was short lived however. I am now on the program committee and the new VP. 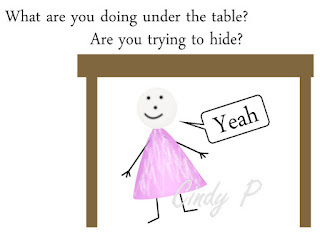 I knew I should have hidden under the table. There are five members on the program committee, and they want to do a BOM this coming year. So someone has to design one. Wish me luck. I usually don't follow a pattern when I make a quilt. I guess there's a first time for everything. I don't have EQ but I do have graph paper and my digital programs ie: Paint Shop Pro and Photoshop. I have been busily working on on some blocks, I have 9 so far and need twelve. 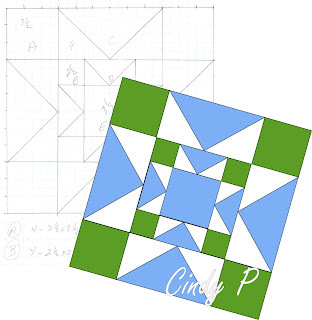 I also need to write up the pattern instructions for each block. 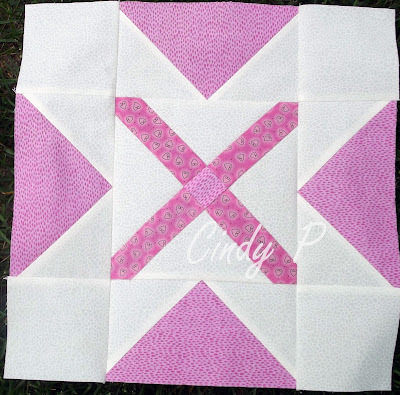 I have even made some blocks using some pink scraps. With four granddaughters I'm sure this quilt won't be at grandma's for too long. I don't know if the block above has a name or not. I haven't seen one like it, but that doesn't mean someone else hasn't made one before me. I'm calling it Double Cross. This has been fun but scary also. Have you done anything you've been afraid of doing but have enjoyed at the same time? I think I'm getting ready to take on one of those challenges. Our local theater group will be performing the musical called Quilters this summer. 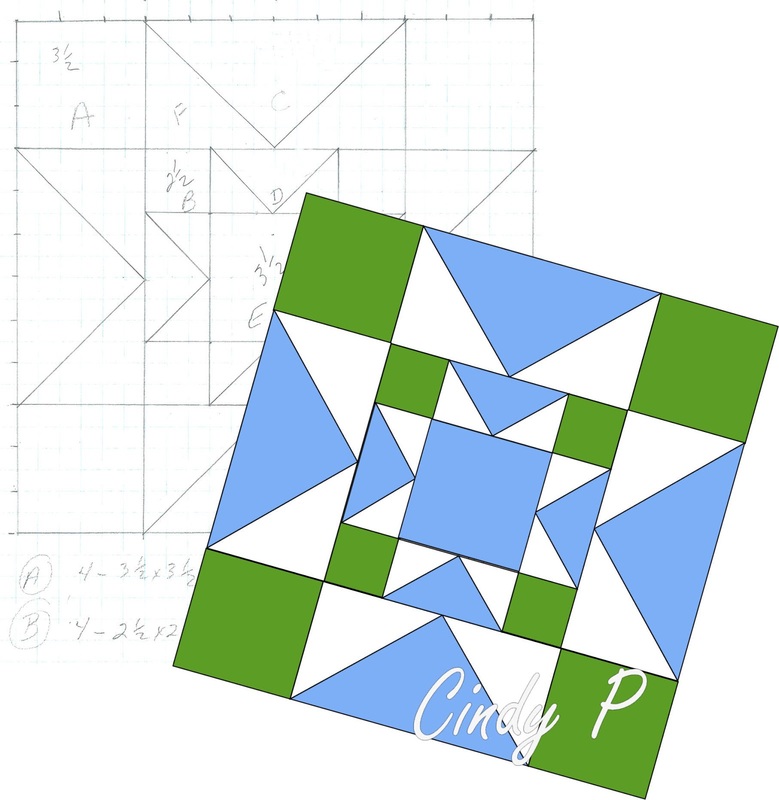 They have asked my quilt guild to help make the needed 36 inch quilted blocks. I have been asked to help quilt and bind the blocks. This will be the first time I have quilted something that I have not pieced. I know I'll love every minuet of it, but I'm so afraid they will not like what I choose to do or I will mess something up. Oh good luck with your BOM program for your guild!! I really like the double cross block you created, and I personally haven't seen something like it before. From what you have shown us, you're doing a fabulous job so far. I love that Double Cross. Wow, that is a big task! Looks like you've got a good handle on it, though. I really like your Double Cross block. Looks like you are getting inspired by the challenge! I hope it's something that really brings the group together - it's always lovely to see blocks made in different colourways. 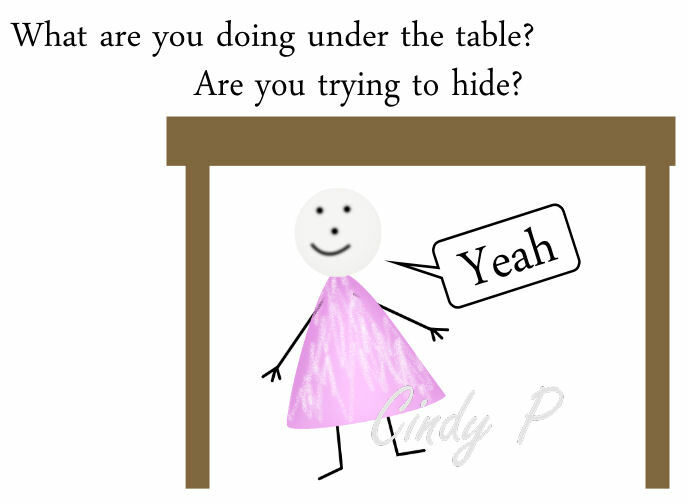 Cindy you sure made me laugh with your short lived elation over stepping down from being treasurer and then finding yourself program committee VP and BOM designer instead. It looks like you are doing a terrific job though and congratulations!